The opening of Vancity’s second branch at East 40th Avenue & Victoria Drive, 1957. Did you know that Vancity’s founding was closely tied to health insurance? In 1944, the British Columbia Credit Union League, the central organization of the credit union movement in the province at the time, decided to put together a plan for co-operative health insurance. It was a great idea that would help many people – there was just one hitch: people had to be a member of a credit union or co-operative to be insured under the new plan. No problem, right? Just sign them up at their local credit union or co-op. But it wasn’t that simple back then. In the early days, most credit unions formed around a common bond, such as a workplace, trade, church or ethnic affiliation. This made sense given that the original idea behind credit unions was to lend money on the basis of character rather than wealth or property. Although these common-bond credit unions greatly increased access to credit among the working class, they still left out those who didn’t belong to one of these “common bond” groups. Evan Roberts, an assistant foreman at Dairyland and dedicated credit union supporter, had been pushing for an open-bond or “community” credit union for Vancouver, which anybody in the city could join. But nobody had paid much attention to him. It was too unorthodox an idea. Now he had an extra argument behind him. If Vancouver had an open-charter credit union, then anyone in the city who wanted to sign up for health insurance could qualify by joining the credit union first. Roberts felt credit unions should be for everybody. “We have nothing in Vancouver for our neighbours,” he kept saying. Fortunately, there was a rush of enthusiasm for the idea following the league’s annual conference that year in Powell River. The decision to go ahead was also fed by a noticeable and growing difference of approach between the Canadian and American credit union movements. While American credit unions were mostly associated with individual, privately-owned companies, the Canadian movement, at least in the West, was aimed primarily at the community. At meetings of the American-based Credit Union National Association, the rambunctious BC bunch were considered uncontrollable radicals. Jack Burns, who had recently been made managing director of the BC Credit Union League, went to work on the new idea. The doubters, not openly opposing the project but still uneasy, stood back to see what would happen. 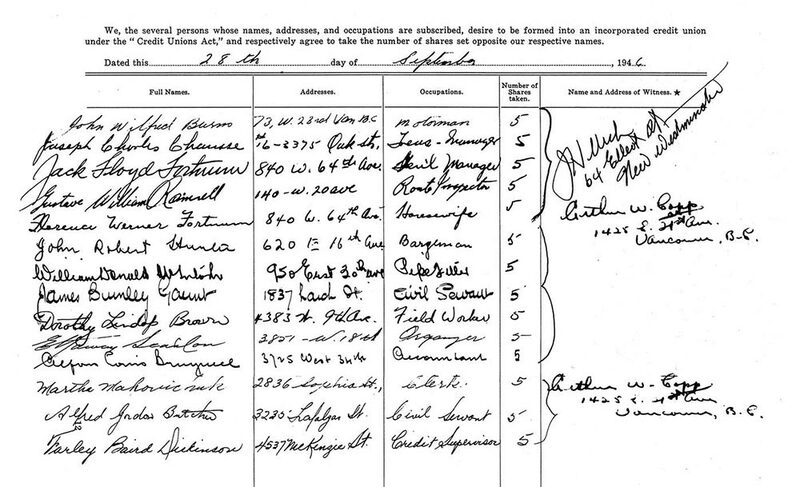 At the end of September 1946, 14 Vancouverites signed a charter to establish an open-bond credit union called Vancouver City Savings Credit Union. Before the charter even came back from Victoria, a man from Saskatchewan named Mr. Crad walked into the BC Credit Union League offices located at Hastings and Cambie. He had three $100 bills in his hand and was looking to deposit it in a credit union. Martha Makovichuk, the clerk at the League, told him the only credit union he was eligible to join was the newly-formed Vancouver City Savings, which was open to any resident of Vancouver. “Where do I deposit my money?” Crad asked. Makovichuk had no idea. She had never seen $100 bills before; most people hadn’t. In fact, she had never seen $50 bills, despite being in her early thirties. “Take his money,” Burns barked. So she did, throwing in 50 cents for membership dues and $1 for a fifth of a share. Martha Makovichuk became book member number 1. When the charter came back from Victoria and the founding group learned that member numbers 1 and 2 were gone, they were furious! It wasn’t long before Vancity was breaking other norms. 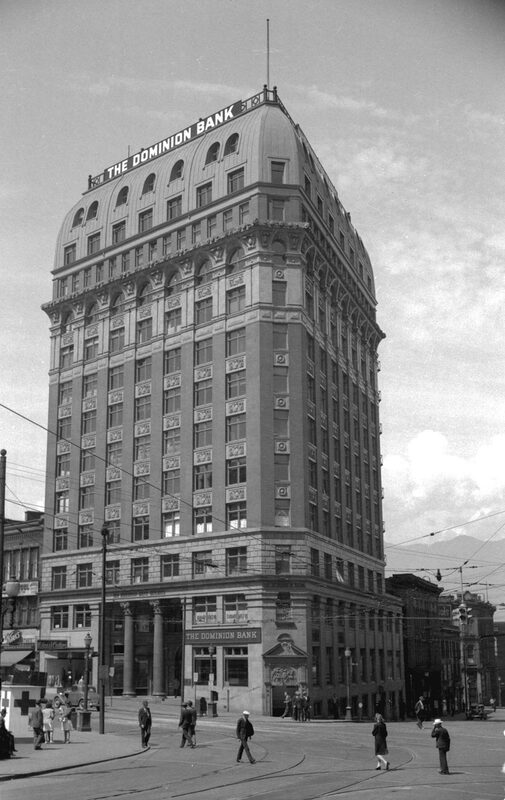 The first loan Vancity made was to a young woman who stepped off the streetcar and walked into the League offices in 1946. She wanted a $100 loan. She wasn’t a member, but somebody had told her about something called a credit union upstairs in the Dominion Building, where a woman, and not just a man, could get a loan. Burns was on Vancity’s original credit committee and happened to be behind the counter that day. He signed her up and took the loan application. It caused quite a stir. The credit committee gave her the loan. It was a bold decision at a time when loaning money to women was relatively uncommon. Vancity’s very first loan was to a young woman for $100. There would be other loans to women in the early years, but very few, because they did not apply. There were still societal norms that stopped women from even thinking of it. 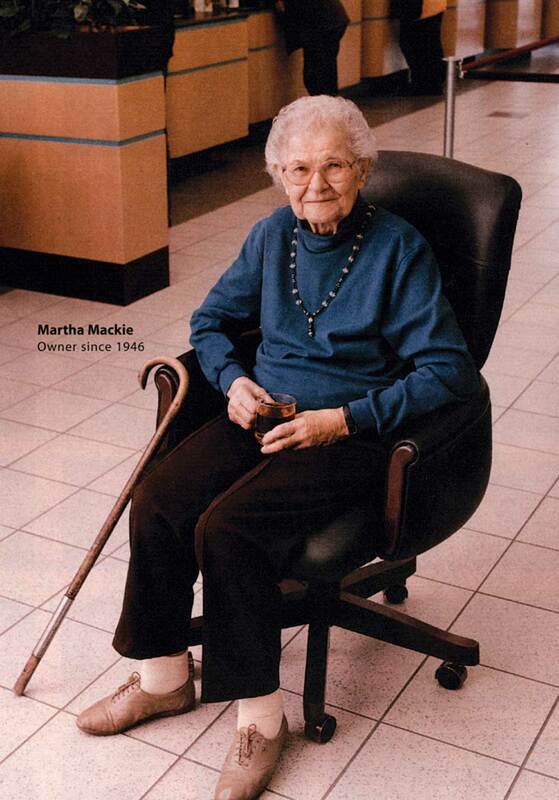 Marth Makovichuk, herself, later took out a small loan. The loan was the first of many firsts to come. As a financial co-operative, Vancity exists for the sole benefit of its members and their communities and, as a result, acts in their best interest. Vancity was the first financial institution to offer mortgages on properties in Vancouver’s working-class East Side, and later began offering mortgages to women without a male co-signor. Vancity earned a reputation for providing credit to those who had difficulty getting it anywhere else. As the years went by, the innovations continued. Vancity was the first financial institution in Canada to offer a daily interest account in 1967, the first to offer a socially responsible mutual fund in 1986 and the first to launch an interactive home banking system in 1995. In more recent years, Vancity became the first carbon-neutral financial institution in North America, the largest private-sector living wage employer in Canada and one of the first mainstream financial institutions to launch an alternative to payday loans for its members – the Vancity Fair & Fast Loan™. Vancity was also the first Canadian financial institution invited to join the Global Alliance for Banking on Values, an independent network of the world’s leading sustainable banks and banking co-operatives. It’s really thanks to the loyalty and support of Vancity’s more than 500,000 members that the credit union has continued to be successful year after year, enabling it to invest in local organizations and initiatives that contribute to healthier communities. Adapted from “Working Dollars: The Vancity Story” by Herschel Hardin.